That ritzy structure over there is just a toilet. 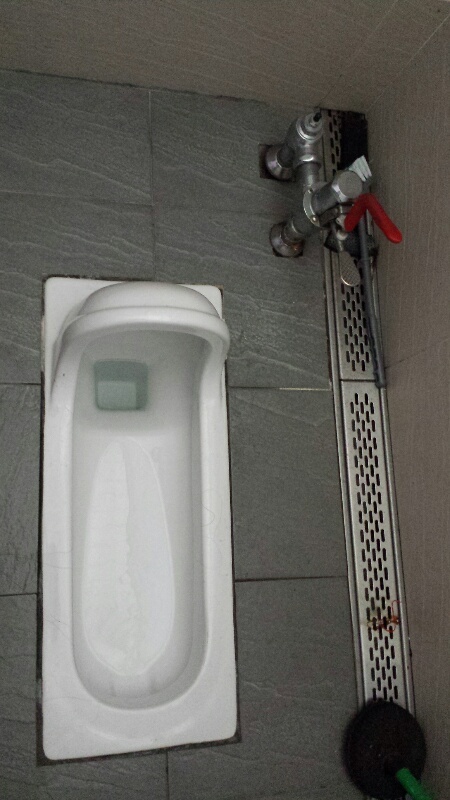 A toilet in the mountain is like a bottomless hole, that deep I presume. What goes in is impossible to retrieve. 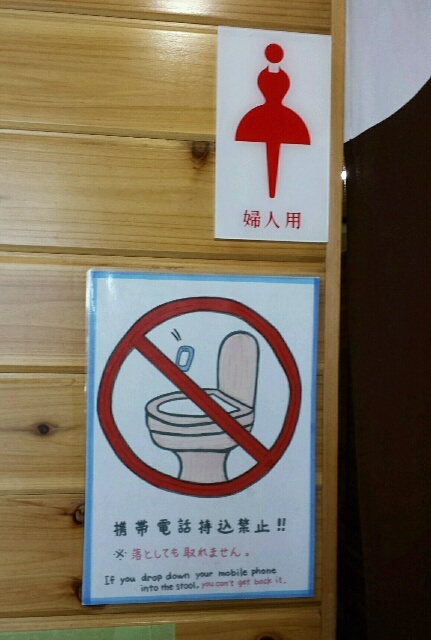 You’ve been warned by means of a sign. 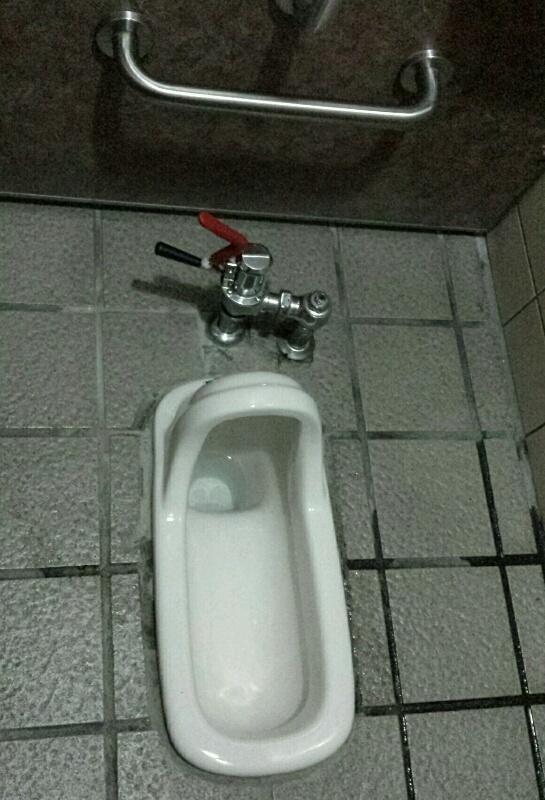 Almost all toilets have no sink in order to conserve water. 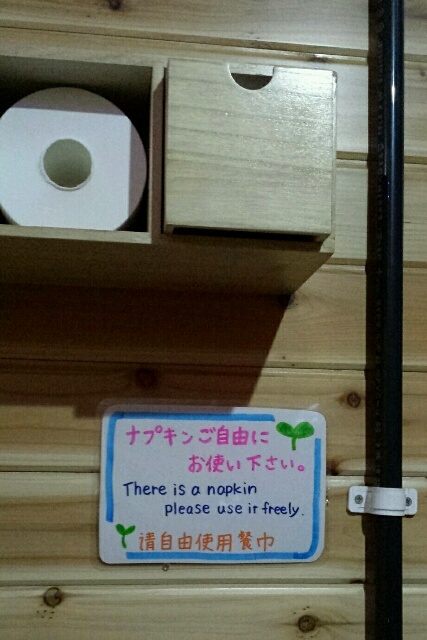 One needs to use the hand sanitizer (if provided by your hut) instead. 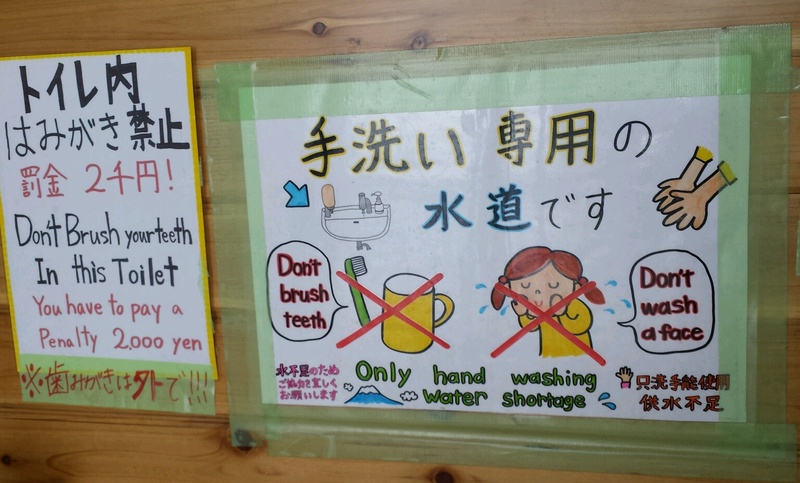 No faucet showering, and no tooth brushing, even if you’ve booked a hut. 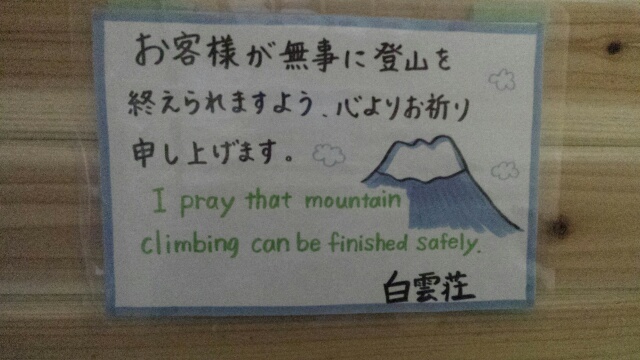 Awareness have been made possible through these toilets signs, including their hope that you’ll safely climb Mount Fuji. Taiwan is particular in saving water as one can observe from most of their sink faucets where the flow is powerful spray instead of steady stream, which means less water is needed in effectively removing soap from hands in just a short time. 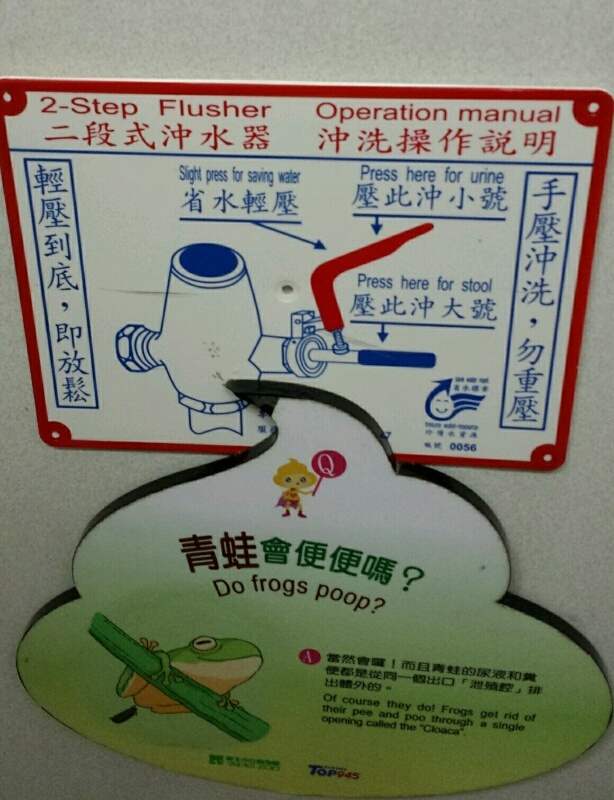 They also have this 2-step flusher so unlike the usual two buttons we normally see in Western toilets. This one in Taiwan is more hygeinic as I don’t need to use my hand. 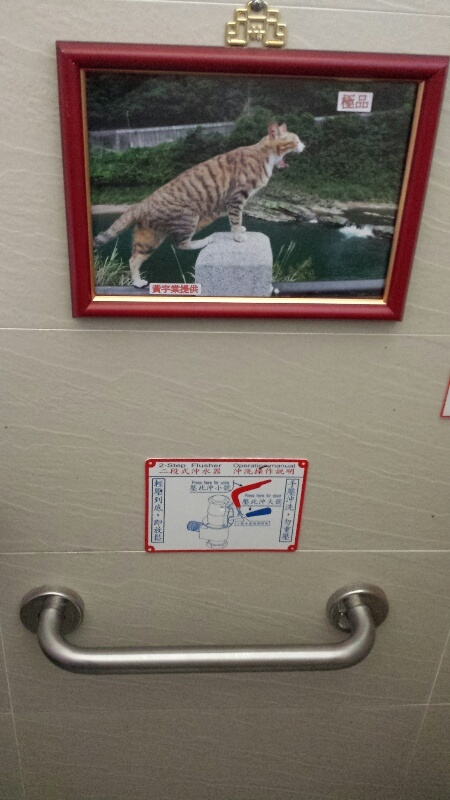 As you can see from the instructions below, one flusher is for urine, and another one dedicated for stool.